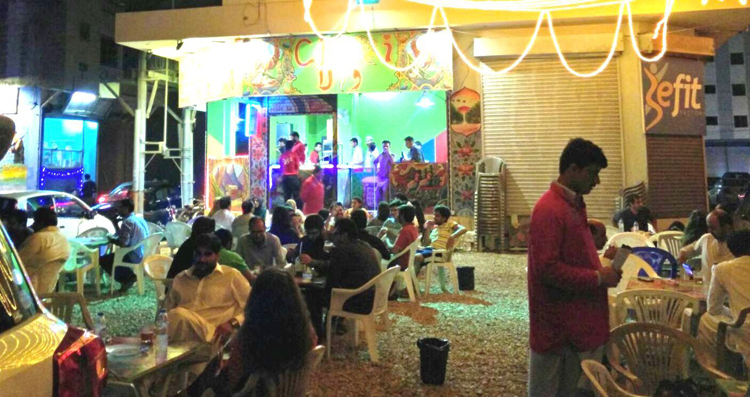 Chai dhaba, one the most common places and a mystery haven where individuals come to relax themselves or have some fun. In other words, this is a place which does not believe in ideas of class or status. there is an obscuring of lines between the rich and poor people, the old and the youthful. As a matter of fact, It’s a haven where people would look for shelter following a tiring day at university, office or work, amid attacks of anxiety or an endless tiring. The good thing about the dhabas is that it is cheap, common and you are allowed to sit there as much as you want to. The experience of having a paratha with a doodh patti chai at a dhaba is amazing. Many people prefer these dhabas for breakfasts over restaurants. There’s at least a group of youngsters found at every Chai Dhaba. These are the most energetic speakers speaking loudly. Their tea ends in an instant but their gossips never end. In the meantime, they talk about careers or about their on going jobs. They push their bags somewhere around the corner and order a ” Karak Chainak ” to ease their minds and to have some hours of full on gupshup with their mates. On the other hand, their topics are of sheer interest. The eyes of this group is staring that one friend who is constantly and notably texting. He is found smiling at regular intervals while looking at his phone and again getting busy typing something romantic or GOD knows what. The “Becharey single” friends of his, who are whispering among each other ” Bet lagaley, dou din main chorh degi ” And they all burst out laughing. There are some groups who visit a dhaba almost everyday to discuss about their future. While gulping down tea, they discuss about work. They are also found in discussing the strategies for their careers. I have often met people who are found discussing about online shopping sites or to sell goods online. No wonder, the online shopping sites are increasing day by day. Did the ideas really originate from a Chai dhaba? Who knows. We see all sorts of generations at a dhaba. Among all types of people, one group found at almost every dhaba is the group of old people. They love bashing our political leaders, discuss how the country is going in flames and are always worried how dirty politics is ruining the country as they sip tea. But this seldom happens. Some of these are silent listeners, they hear you babble on top of your lungs and they decide to concentrate on their chai more. Often can be heard at the Dhabas which are full of people dressed in formal after office timings. They talk about the one angry boss. These people don’t have to worry about anyone eavesdropping them there. Further, they can express their feelings wholeheartedly among their friends or colleagues. Moreover, coming to a dhaba soothes them so much that bluntly they utter that dialogue “Naukri karne se acha hai Chai ka dhaba khol lu “. These moments turn into roars of laughter. Tell us your story of a Chai Dhaba. What do you talk about? How do you feel about a dhaba?